With a less serious, yet more focused, approach to their craft and seeking good times only, they created individual production personas (Malcolm S/ Dr Billy) and huddled up for a year in their Auckland studio, Breeze N Soul (named after the Kool & The Gang song). Ghost Wave started life in 2012 as the brainchild of Matt Paul (Vocals, Guitar). What was a initially a project relegated to a small room in Auckland, New Zealand over time the sonic chemistry he was cooking up caught the attention of fellow music maker and soon-to-be collaborator Eammon Logan (Drums). 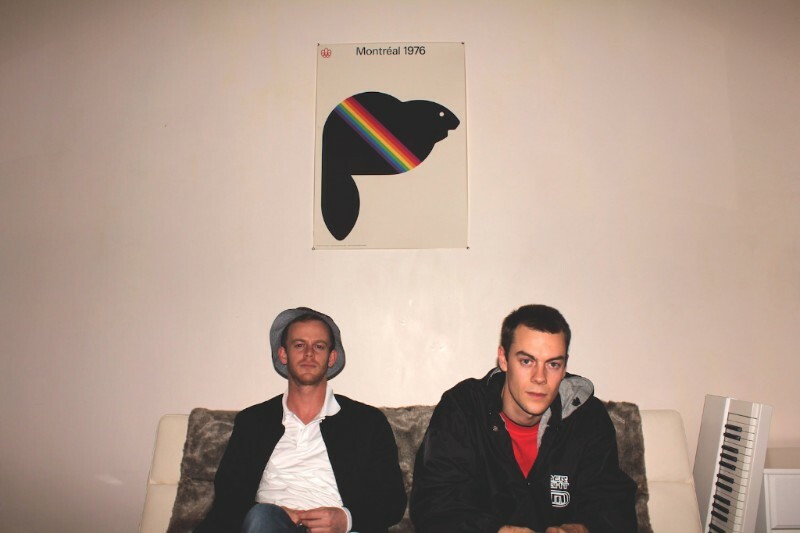 Together they self-recorded what came to be their self- titled EP and followed this up with debut album Ages. 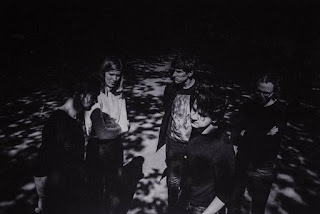 Inspired by skate vids, Persian rugs and the music of Little Richard, you could simply characterise Ghost Wave by jangly guitars underpinned by motor-style rhythms and a unique melodic sensibility. Yet, with Radio Norfolk they have gone further than that, creating something even more captivating and intriguing. In their own words it’s “ ...the countdown to the meltdown.” Radio Norfolk is out in New Zealand on 8th of July and worldwide on 5th of August. The next single Honeypunch drops on 24th of June. Second time around on Beehive Candy for Ghost Wave this time featuring the song 'All U Do Is Kill'. It's one of ten tracks on the soon to drop album 'Radio Norfolk'. It's worth reading the second paragraph of the promo description above (and it saves me repeating much of it), this is a band who create fine songs, test the boundaries and can musically charm your socks off. 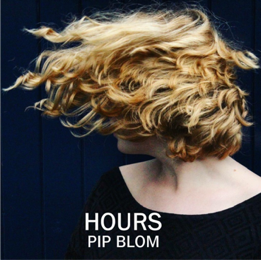 Background promo - Pip Blom has released her new track ’Hours’ online. Pip Blom is a 19 year old artist from Amsterdam. DIY is in her genes. She writes, records and releases her own indie pop tunes with a twist. Although she just started releasing her material in 2016, her rough diamonds with catchy melodies have already found their way to an international audience. 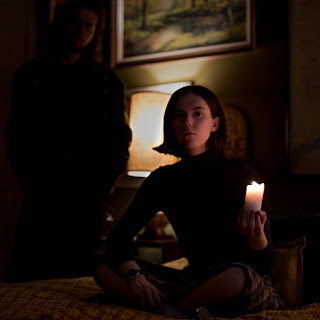 The songs have been featured on influential Spotify play lists with more than 150.000 plays. When she was 15 years old, Pip started playing a three-string Loog guitar and in a month she wrote 13 songs, recorded them and released them under the name Short Stories. 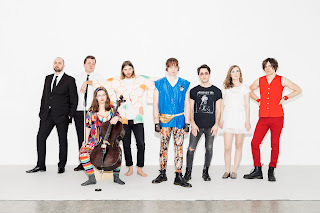 With the album, Pip ended up on the front page of worldwide tech website ’TechCrunch’ as they did a feature of Loog guitars. 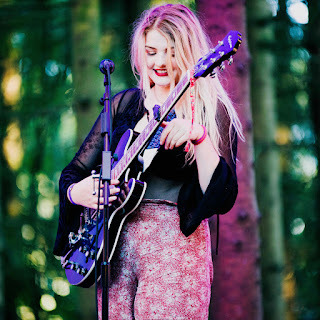 She writes and records everything on her own but she brings her songs live as a four piece band. Tours in the Netherlands and England are scheduled for the band in the near future for her and the three other Amsterdam youngsters; Tender Blom, Bowie Thörig and Berend Kok, who accompany her on stage. 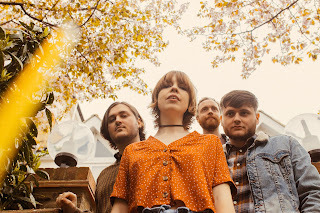 Two of Pip’s songs, Hours and Truth will be released on a limited edition 7” single via the Norwich based Grunt Grunt A Go Go label on the 1st of July. Hours is now available on all platforms. 'Hours' is just so delightful. Musically it's a stripped back piece, that gently grows as the melody supports her hypnotic vocals. Wonderful!